kidslooklikekats: The Sea And Cake: "The Moonlight Butterfly". The Windy City's breezy darlings The Sea and Cake are back in action - although, you could hardly call each member's art careers, solo musical outputs and production work inaction. Sam recently released a magnificent, bubbly synthesized dream scape of a record, entitled Old Punch Card, Archer and Eric have been busy drawing and painting, and John is, well, John - engineer/producer extraordinaire. Nevertheless, the quartet have regrouped, and more than that, have broken new ground. 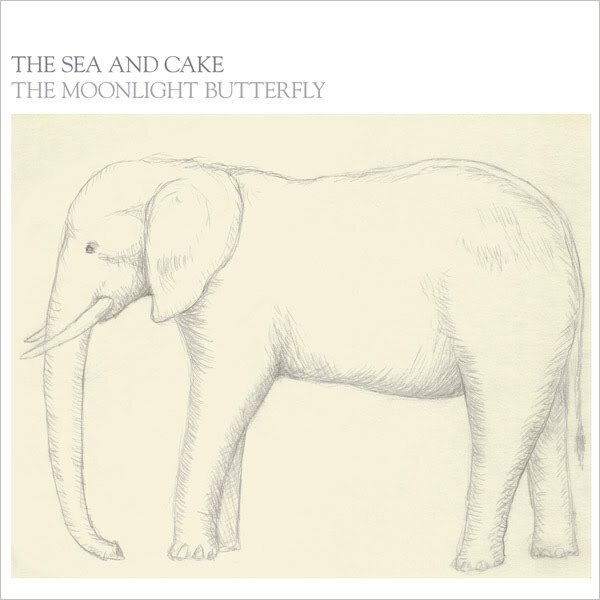 Recorded at drummer John McEntire's Soma Studios in Chicago, The Moonlight Butterfly is The Sea and Cake's ninth full-length studio offering. It has been dubbed a "mini album", however, due to its six-song arrangement of somewhat lengthier, heavily instrumental music, building on what began with The Fawn's synth-heavy electro-jazz, continued on to Oui's lusher arrangements and synthesized undertones and culminated in the jagged, sparse electronic experimentation of Sam Prekop's most recent solo effort, Old Punch Card. The Sea and Cake are known for their "disappearing act"; their last release was 2008's Car Alarm, the sound-searching follow-up to 2007's more straightforward jazz-rock record Everybody. You just won't meet a more devoted or enthusiastic fan than a Sea and Cake fan, and despite the band's penchant for the hiatus, the generous thanks they give their fans through blocks of heavy touring, prolific output spanning the course of one year and a constantly-evolving sound that never impedes upon their signature instrumental interplay and summery atmosphere is more than enough to sustain the band's next extended absence. The Moonlight Butterfly is slated for release on May 10th, 2011 from Chicago's fabulous Thrill Jockey records. They're already working on another full-length scheduled for late 2011 release. For more information regarding the band and the release, as well as upcoming tour dates, please visit thrilljockey.com.